Having the morning off I decided to hit up a local trail that I have been told about by the locals in my hometown. Just off of Harvey road in Deerfield there is the Great Brook trail. A collectively owned private land holding that is part of a local conservation effort. This three mile trail travels through a lovely brook scene to a small pond. There are a couple of great view spots to enjoy as well. This trail is pet friendly as well. With not much elevation gain and plenty of water sources. I would recommend bringing along your four legged friends. You can see above General Patton crossing a newly constructed foot bridge.My research tells me that the two bridges on the trail are part of an eagle scout project back in 2009. My hats off to the good man! With great views and great location I would highly recommend this trail to anyone who is in the need for some quite woods walking or leaf peeping in the fall. Check out Great Brook Trail in Deerfield NH. As one of the property owners that this trail crosses I would like to clear up a couple of minor pints. The trail crosses 9 privately owned parcels, not a collectively owned land. Most of the trail is on land that have conservation easements but not all. The two bridges were constructed in the fall of 2012. Americorp volunteers started the process by cutting trees and peeling bark on logs to construct the bridges. Local volunteers and a landowner assisted in this. The bridges were completed by the landowner and a friend. Glad you enjoyed the trail.. Maybe I’ll see you out there some day. I walk part of it almost every day. I appreciate the correction. 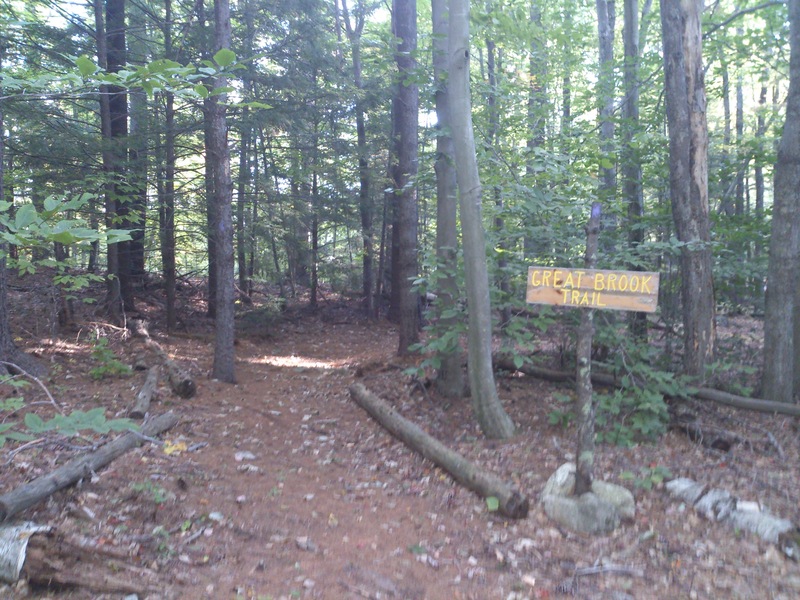 We enjoy the Great Brook Trail nearly every day as well thank you for you contributions to such a great place. If you ever see me running with my white and ginger dog Patton please stop us and say hello. If there are any voulenteer opportunities please let me know.